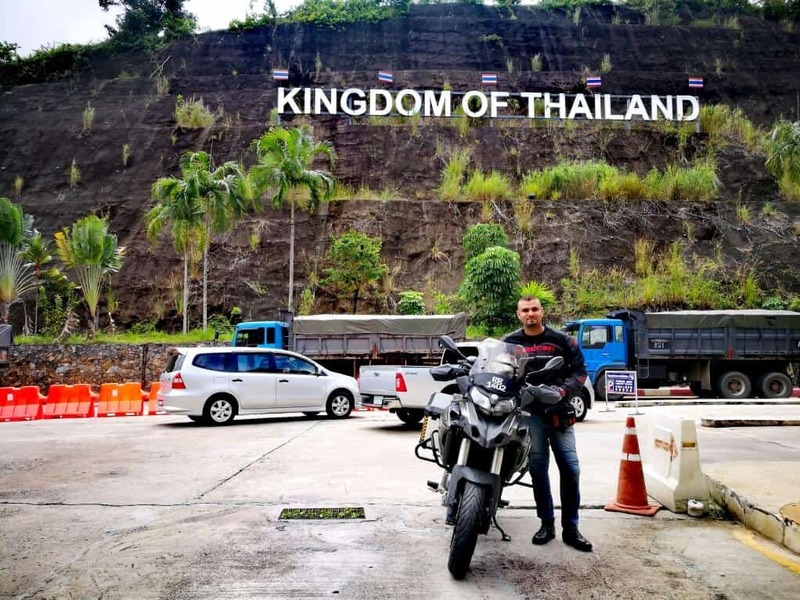 Over the weekend, I decided to do a short trip with my new ride (Benelli TRK 502) and went to Yala province in Thailand which is about 400KM from Kuala Lumpur. 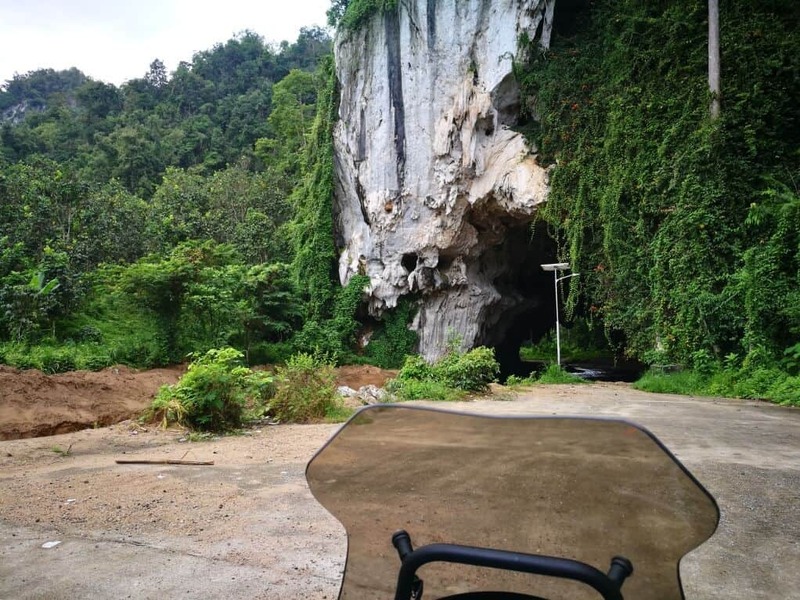 This Krasaeng cave is located in the small town of Bannang Sata which is about 80+ KM from Betong city on route 410. Please note there are 2 spellings used : Tham Kra Chaeng and Krasaeng. 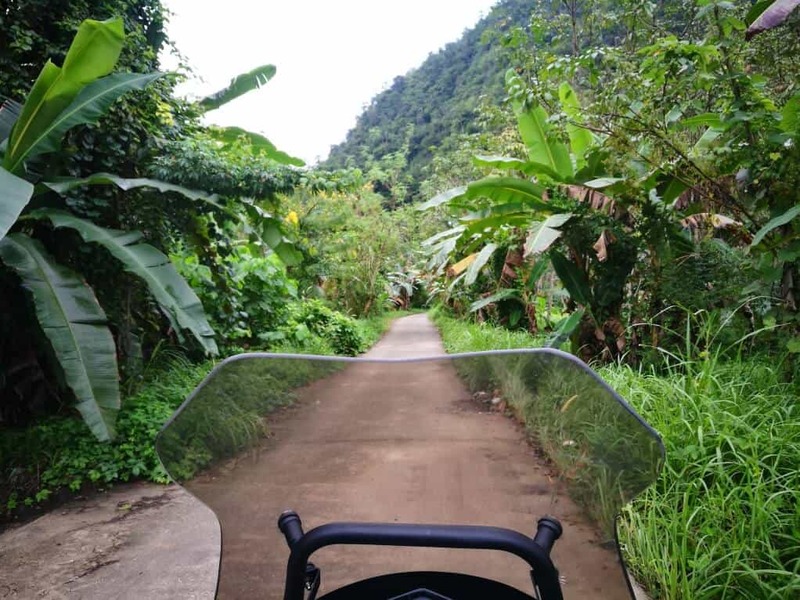 Along the route 410, you’ll see the mountains, river stream and the Krasaeng cave. 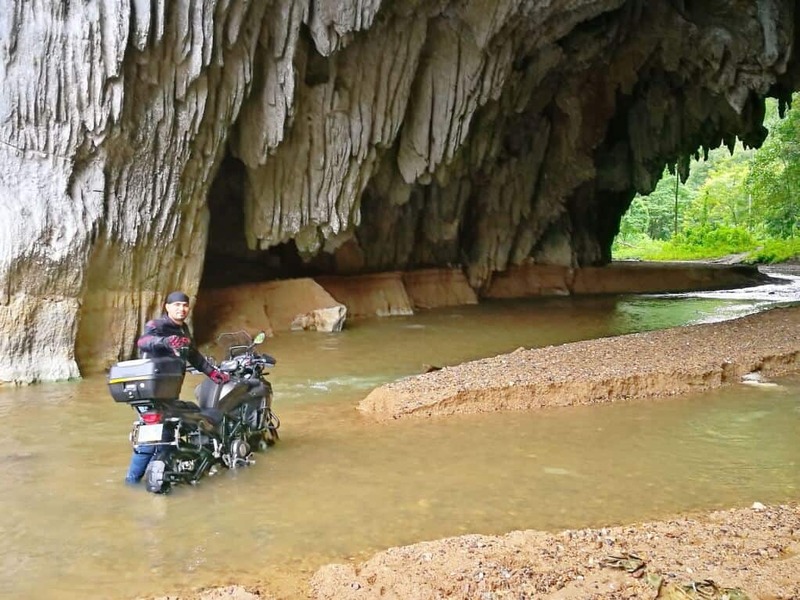 During the dry season, one can walk along the river stream through this cave to the other side and see the open area surrounded by lush forest. 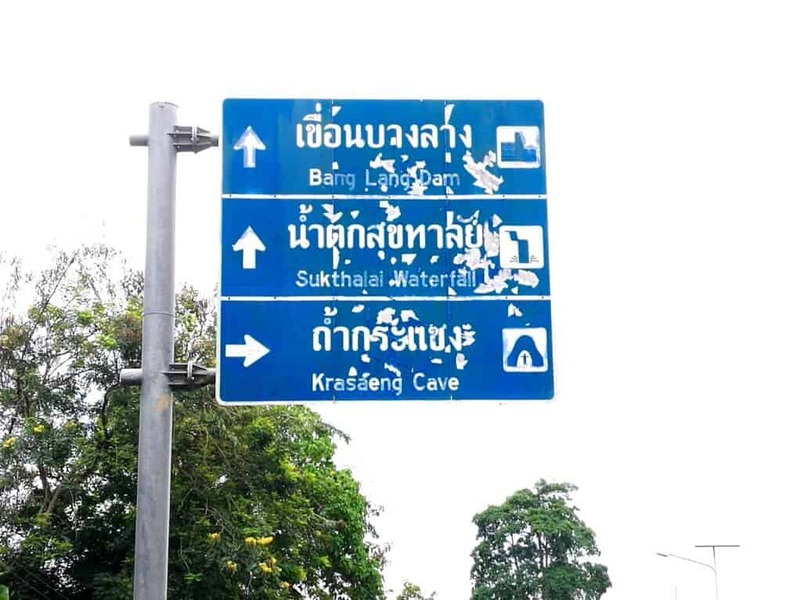 You’ll just need to stick along the route 410 and when you see the Krasaeng Cave signboard, take the right exit. 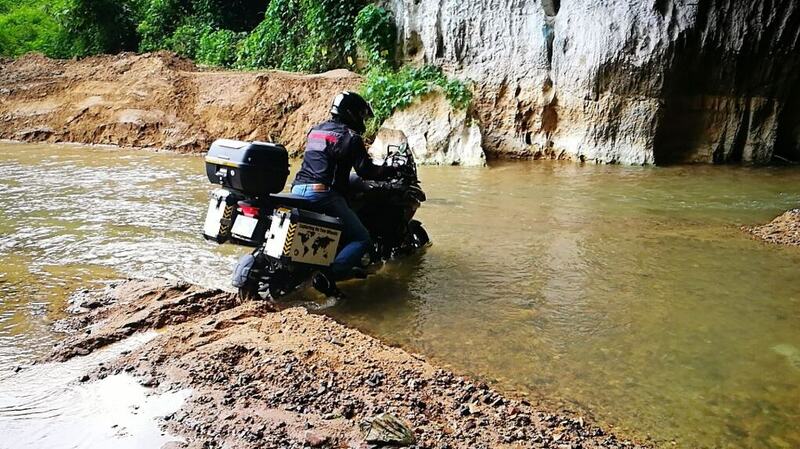 Next, just follow the GPS map for further 2+ KM and you’ll see the small exit on the right which is also passable by car and you will need to ride further few hundred meters. This is how it looks like at the entrance of Krasaeng Cave. My attempt of crossing the river stream in the cave which looks passable for me. As soon as I get into the river, my tires sank in and the sensors of my machine shut down the engine. I totally forgotten about my exhaust pipe which is located below next to the engine. 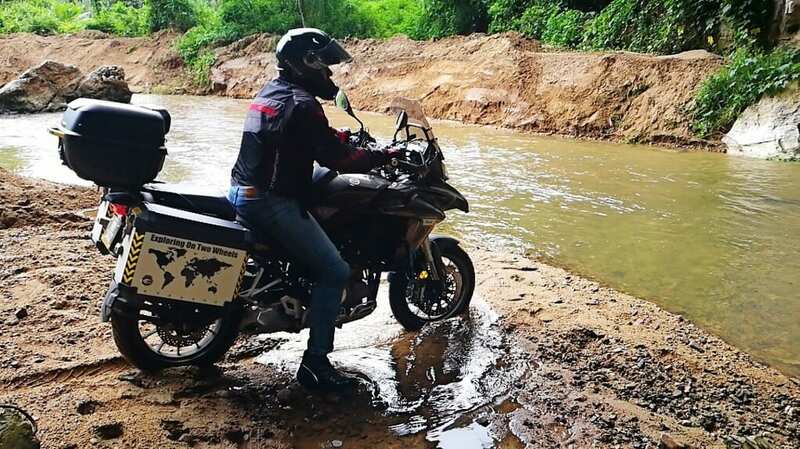 It was a bad idea crossing the river stream during wet season and I think if I had my exhaust pipe under the seat/tail, I would have make it? It was already raining slightly and getting this 200+ KGs machine to the dry area was such a pain in the A**. 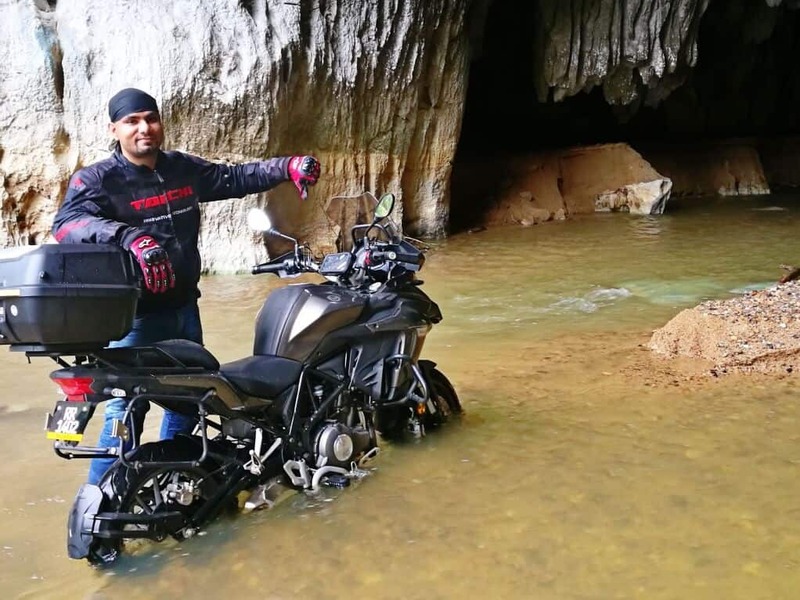 When I got into the dry area, I decided not to try again to cross the river stream but just enjoy the beautiful view of the cave. After speaking to the locals here, they suggested the best time to come here is during dry season (March-July) and not during wet season (November-January) which I went, my bad! The river caves are flood prone as they are part of the catchment for the Bang Lang park during wet season. Check out the Krasaeng video ride by Jonathan and his friends who went during the dry season. If you would like to read more on Krasaeng cave, please read it here. 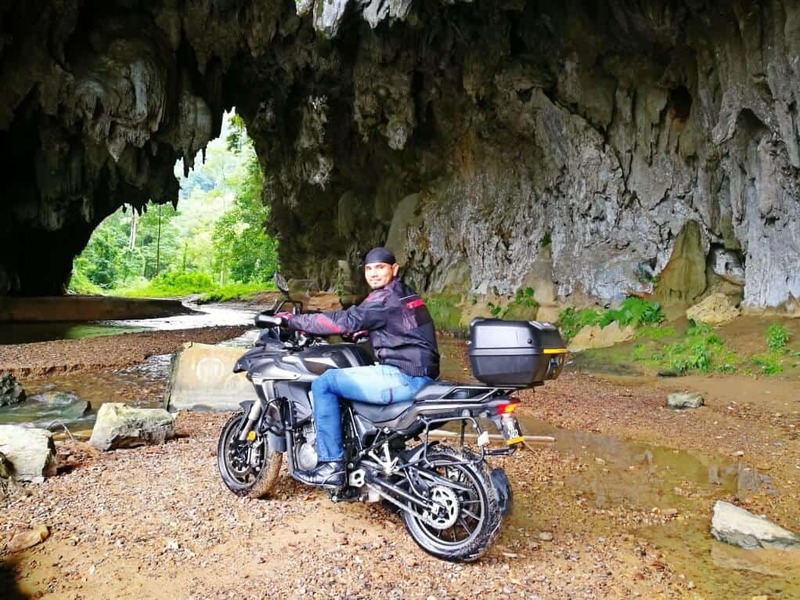 Apart form the Krasaeng cave, Betong city offers quite number of exciting places to see. From historical sites to cultural attractions, these amazing places also has good places to hangout at night and my favorite spot is the Tunnel bar (next to Mongkhonrit Tunnel) where you can enjoy live music band in a cozy environment with good food and drinks. Check out the list of attractions and activities to do in Betong. More information about Betong, please read it here or check out the report from Trip Advisor’s site. That’s it from me this time and I’ll go back to this cave somewhere next year during the dry season and update this article accordingly. If you need any suggestions, drop them at the comment box below and if you find this article is helpful, please share them via the social buttons.